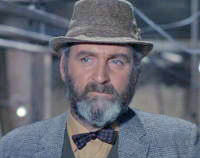 Quatermass and the Pit US title Five Million Years to Earth is a 1967 British science fiction horror film. 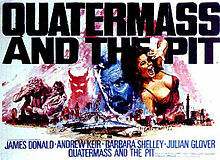 Made by Hammer Film Productions it is a sequel to the earlier Hammer films The Quatermass Xperiment and Quatermass 2. Like its predecessors it is based on a BBC Television serial Quatermass and the Pit written by Nigel Kneale. 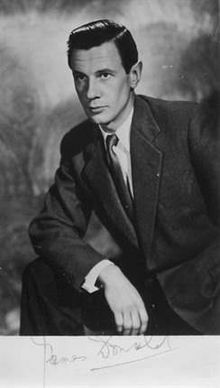 It was directed by Roy Ward Baker and stars Andrew Keir in the title role as Professor Bernard Quatermass, replacing Brian Donlevy who played the role in the two earlier films. 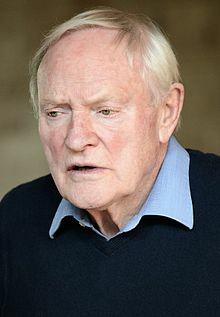 James Donald, Barbara Shelley and Julian Glover appear in costarring roles.